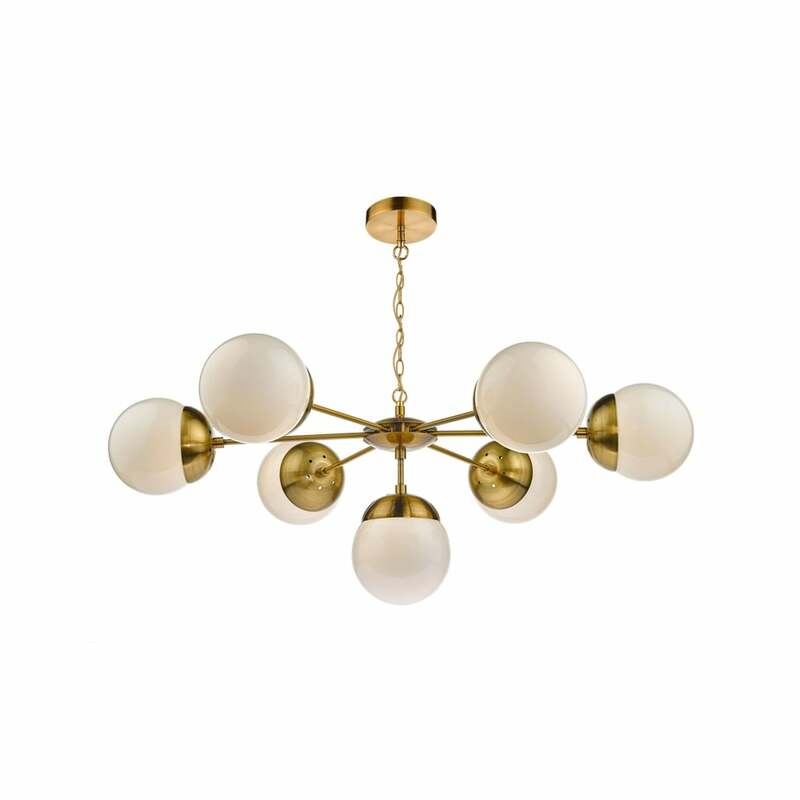 Dar Lighting Bombazine 7 light ceiling pendant features a circular design ceiling plate with decorative chain all in natural brass finish, holding a frame of rods with oversized opal glass shades. This amazing design has an authentic mid century feel which exudes style and glamour, providing great light output, perfect for both modern or traditional style decors wit in your home. Height adjustable at point of installation and comes supplied with 150cm of chain and cable. This product code is BOM3435.